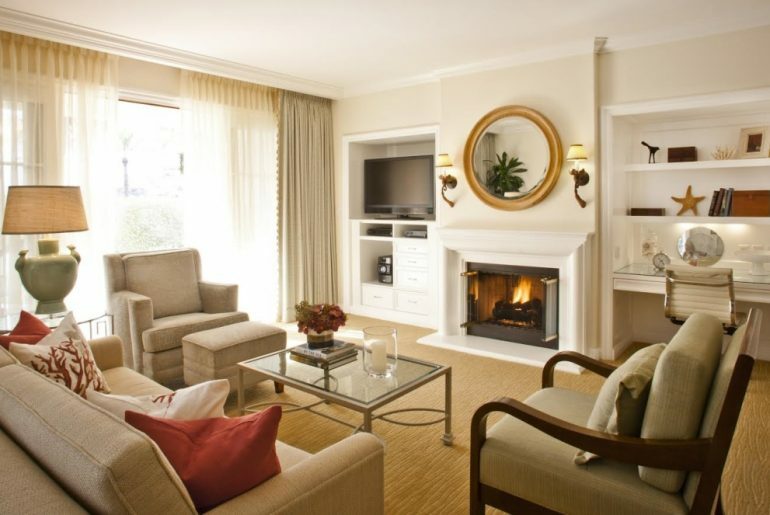 Our cozy living room at Four Seasons Residence Club Aviara. 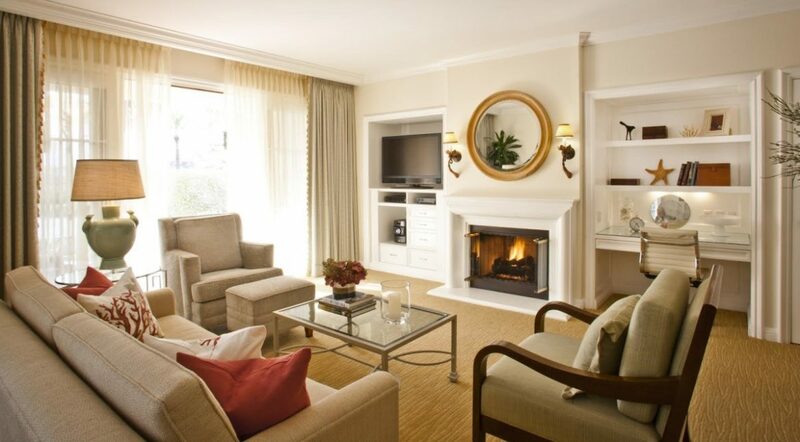 The fireplace was perfect to ward off the late-spring chill of Carlsbad, California. So maybe your lifestyle doesn’t support being a member of the Four Seasons Residence Club. 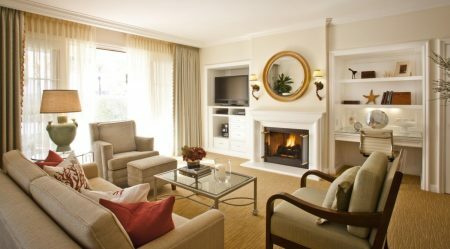 But you can still experience the level of service and luxury enjoyed by members by staying at one of the properties, as I did recently at the Four Seasons Residence Club Aviara, in the Pacific Coast community of Carlsbad, California, just north of San Diego. Our one-bedroom villa, decorated in the signature elegance of the Four Seasons brand, was spacious with a full kitchen, living room and balcony. We enjoyed dining on fresh California coast cuisine at the newly reopened Seasons restaurant. Chilly weather kept us from either of the heated pools or the nearby beach, but we did enjoy a stroll down to hill to the Batiquitos Lagoon, saltwater wetlands that are home to a protected wildlife sanctuary. 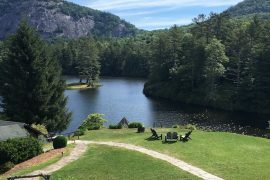 We took a leisurely stroll on a wooded path around the water, delighting in spotting wildlife and feeling worlds away from the business of San Diego. Make this your base for sight-seeing in San Diego or La Jolla, or perfecting your putt on any of the 90 golf courses.